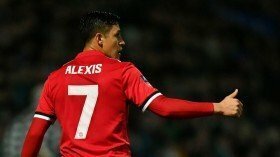 Chile international Alexis Sanchez is still keen on parting ways with Manchester United despite the recent dismissal of manager Jose Mourinho at the helm. The 30-year-old has endured a difficult time with the Red Devils since joining them from Arsenal 12 months ago but he has recently found some form under the guidance of Ole Gunnar Solskjaer. Still, El Gol Digital claims that the attacker has not changed his stance of leaving the Red Devils and he is prepared to push through his departure at the end of the season. Sanchez has recently returned to the United fray after a hamstring injury and he has bagged an assist in each of the past two matches against Newcastle United and Reading. However, he has suffered a minor recurrence of the muscular problem during the latter of those games and this sees him as a probable doubt for the upcoming league encounter at Tottenham Hotspur.